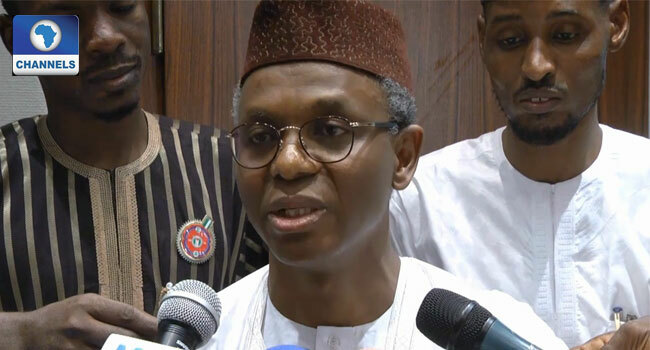 Kaduna State Governor, Nasir El-Rufai has reacted to the exit of Atiku Abubakar from the All Progressives Congress (APC) saying it is not a surprising development and they knew Atiku was going to leave. El-rufai said the party knew about Atiku’s exit before now, adding that Atiku is a serial defector and may come back to the APC if he thinks there is hope for him to get the ticket to contest for the 2019 elections. Atiku, who is former vice president of President Olusegun Obasanjo on Friday announced that he has resigned from the APC. In his resignation letter, he accused the APC of failing to spearhead the rebirth of a new Nigeria as it promised. The Kaduna State Governor said the APC is an equal platform for all and Atiku’s action simply left as a result of his intention to always contest. He said nobody made Atiku leave the APC explaining that the memo he wrote in 2016 to President Muhammadu Buhari was not targeted at Atiku only but all aggrieved members who were not displeased by the memo but remained in APC. El-rufai finally described Atiku as a serial contester and aspirant wishing him luck in his political aspirations.